For the past three years Cottingley In Bloom has been working to create an orchard the whole estate can benefit from. They have planted fruit and nut trees around the estate. It has been a long journey, but on 19 November the last tree was planted, making a total of 120! It was an apple tree, one of many whose fruits have been used in the popular annual Apple Festival. It is believe that Cottingley Hall now has the largest community orchard in the United Kingdom, something that the group are very proud of. 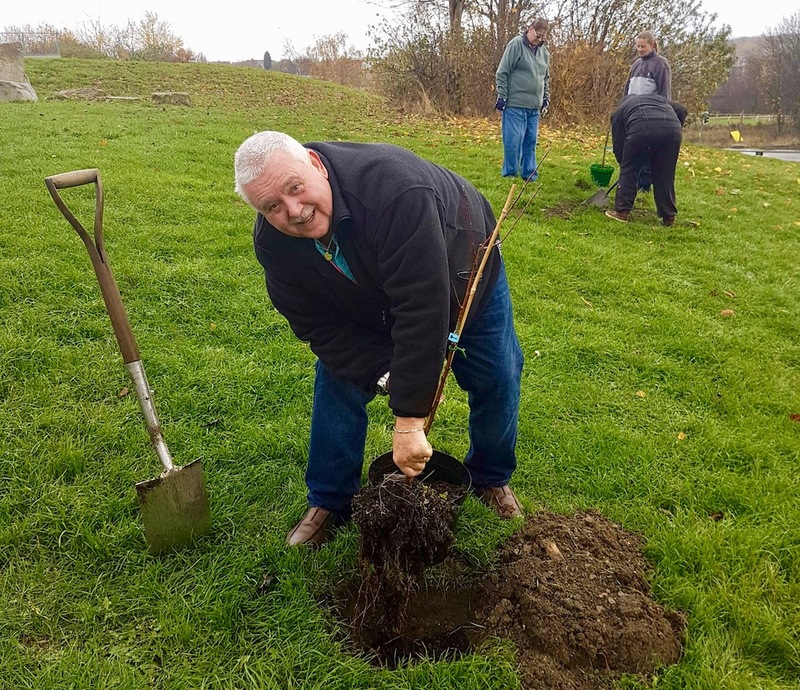 The group has made a huge effort to improve the environment around Cottingley Hall, digging and planting, in particular they braved the rain to plant the last 29 trees in the orchard. Cottingley In Bloom have also been busy with other work. Despite the hot summer, they have been out tending the orchard and their many other projects all around the Cottingley Hall estate, including eight raised beds, a Christmas tree, a community herb bed and the ongoing project to create a remembrance garden. They are a small team with a big personality, and would always welcome new community members to join them! This post was written by Vikki Blake. Can i just ask… How on earth did you raise funds?